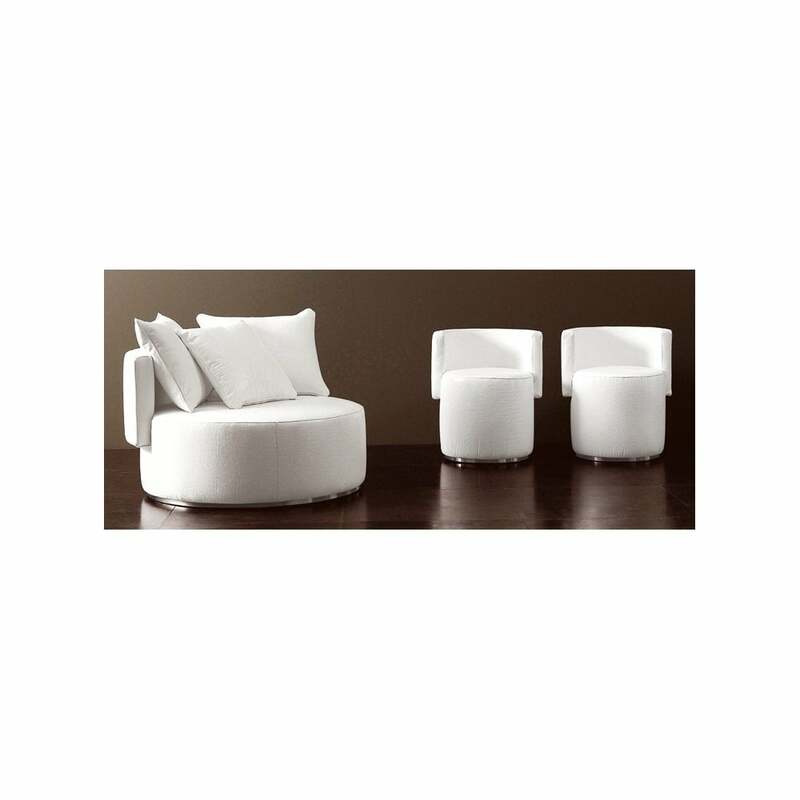 Lounge in style with the Love Seat Chair Pouf by Rugiano Interiors. This luxury Italian furniture collection combines high-quality materials in wood and metal with fine leather and fabric upholstery. Featuring a deep rounded seat and a contrasting quilted exterior, the love seat is hand-stitched with the Rugiano logo motif. Choose from a wide range of sophisticated colourways in the finest Pelle leather or Tessuto fabric. This covetable chair is finished with a glamorous steel or bronze base. Choose to combine sleek white leather and steel for a minimalistic style or with a luxurious blue velvet for a retro look. Pair with the Papillon Cushions from the Rugiano collection and drape with a faux fur throw to create a sumptuous space that is perfect for cosying up in with a good book or a film. Available in three sizes, make an enquiry for more information.